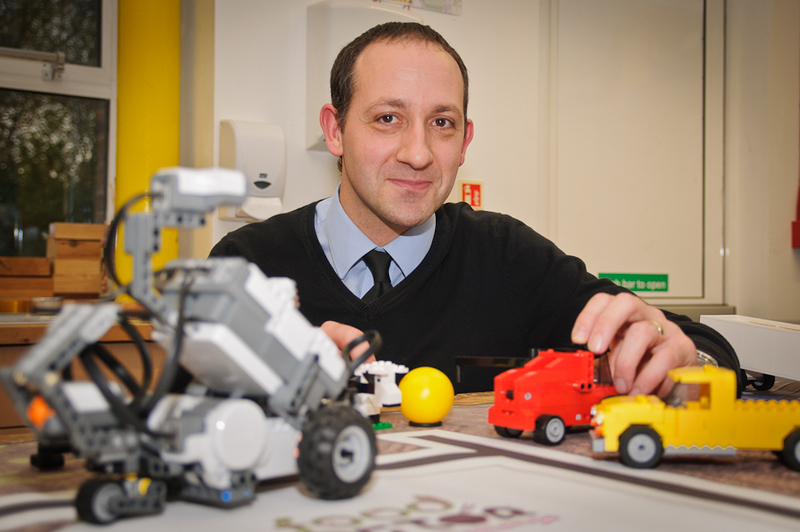 Mr Carver, the school’s Head of Technology, is a Certified LEGO Teacher Trainer of Mindstorms. He has taught with LEGO Mindstorms for five years and is now introducing it to the curriculum at Kingsbury High. Mr Carver also hopes to get a team of students into the First LEGO League tournament, an international competition where students build and program robots to solve a range of problems and challenges. Quoted on the LEGO Education website, he said, ‘Through the building and programming challenges, students become active participators, developing both teamwork and collaborative skills. 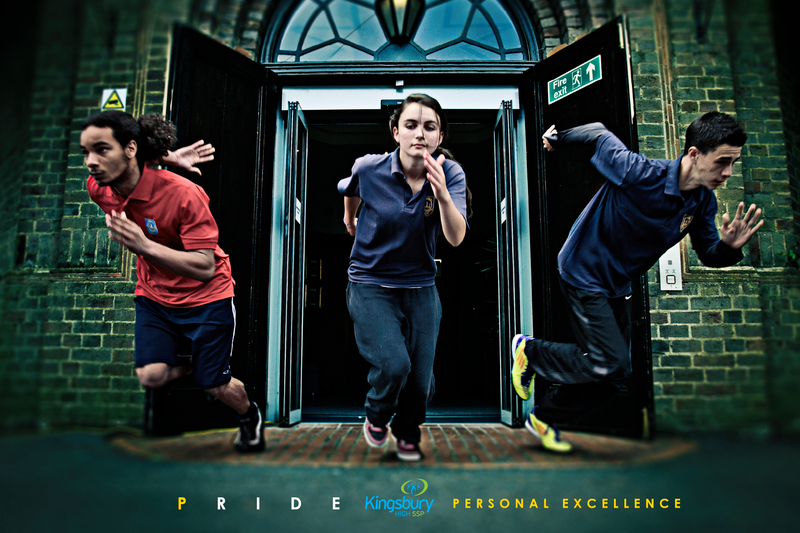 They immediately find elements of the kit familiar and soon grow confident enough to explore their own ideas. Learning with LEGO provides opportunities for the students to apply their scientific, mathematic and engineering knowledge to solve real life problems, thus making very strong cross curricular links’. 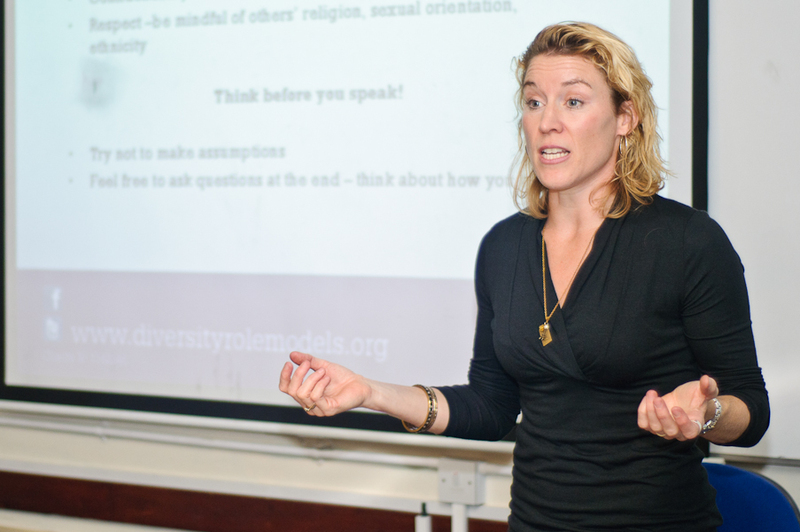 A group called Diversity Role Models spoke to some Kingsbury High School students as part of Anti-Bullying Week. 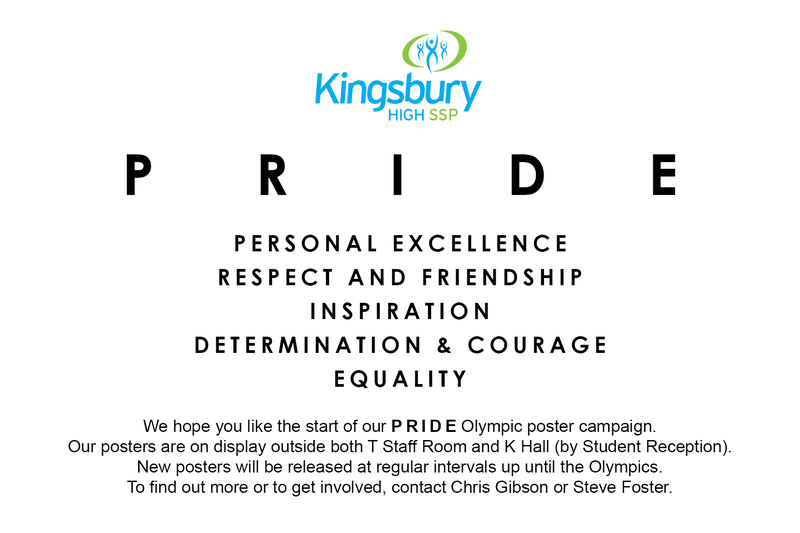 Diversity Role models is an anti-homphobia charity that wants to stop bullying before it happens by educating all young people about differences in sexuality and gender identity. The session included a discussion about homophobia: what it is, why it happens and how it affects people. The group heard from two role models who spoke about their personal experiences of being gay and students had the chance to ask questions about their lives and their school days. “My name is Alizay, I’m 14 years old and attend Kingsbury High School. I have one dream, one ambition and one goal: to make a difference, whether big or small. As part of a group called UNITE we received our Diana Anti-Bullying Champion award in summer 2011. UNITE is a group run by young mediators certified by PERRLINK. We run games and activities at lunchtime and guide children through conflict. When I received my Award it inspired me! I researched different opportunities and Lady Diana herself. I came across a Pakistani organisation called ‘REHEL’ for disadvantaged children. I contacted the director and she suggested an internship at the children’s hospital rainbow club for terminally ill young children. I attended certified Child Abuse training and then started my internship in the Children’s Hospital – Lahore. I played with the children, taught them how to read and write in English and bonded with them very well! From 10am – 1pm I was a friend, even after those hours their smiles wouldn’t escape my mind. I enjoyed everything from the dancing to the learning! I feel I am more humble and caring now. I realised all that happened in life would never outshine the time I spent at the Rainbow Club.